Hi friends, and welcome to the party! Thank you so much for stopping by to join us. 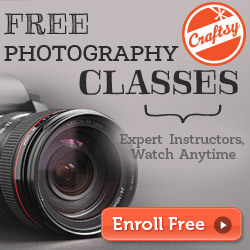 I can't wait to see what you've been busy creating and cooking this week. I love all the great ideas and recipes for the Fourth of July. This summer is flying by! I hope you all are having a great weekend. 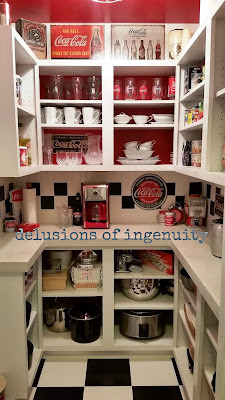 Delusions of Ingenuity revealed her awesome Coca Cola pantry. Check out how she did it! 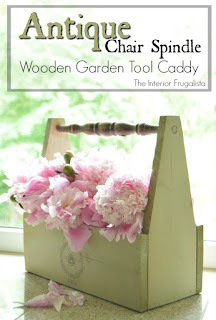 The Interior Frugalista shared a great tutorial for making an antique chair spindle garden caddy. The Purple Hydrangea shared her beautiful pie crust table makeover. 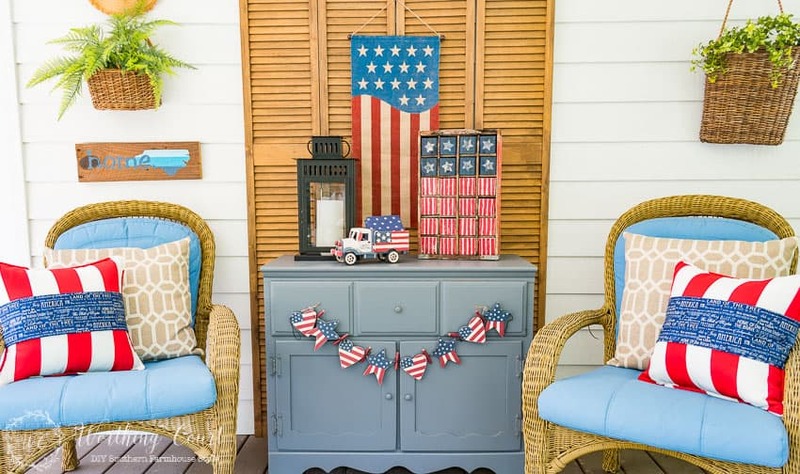 Worthing Court shared how to make these Vintage Americana USA painted flag blocks. 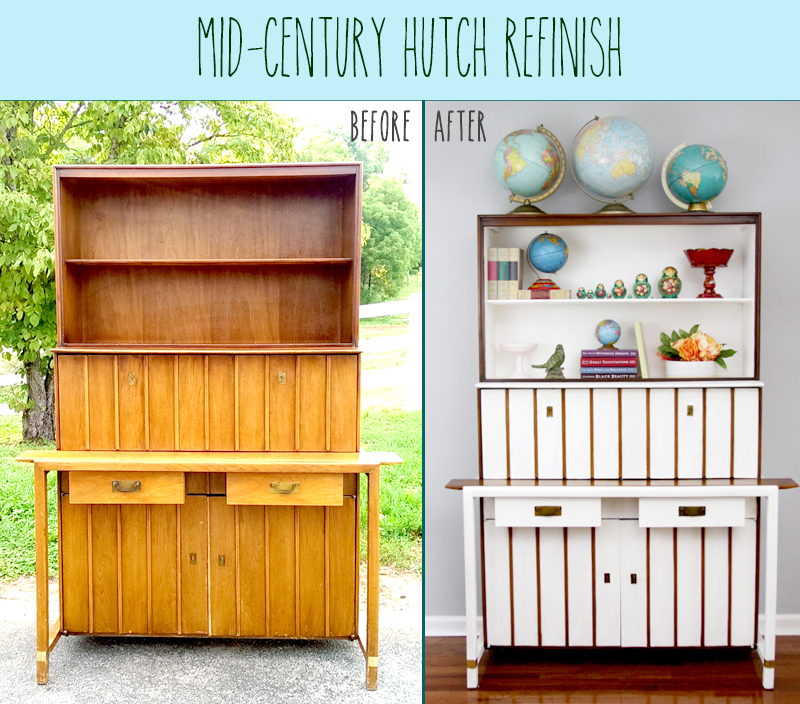 Flamingo Toes shared her amazing Mid-Century Hutch makeover. 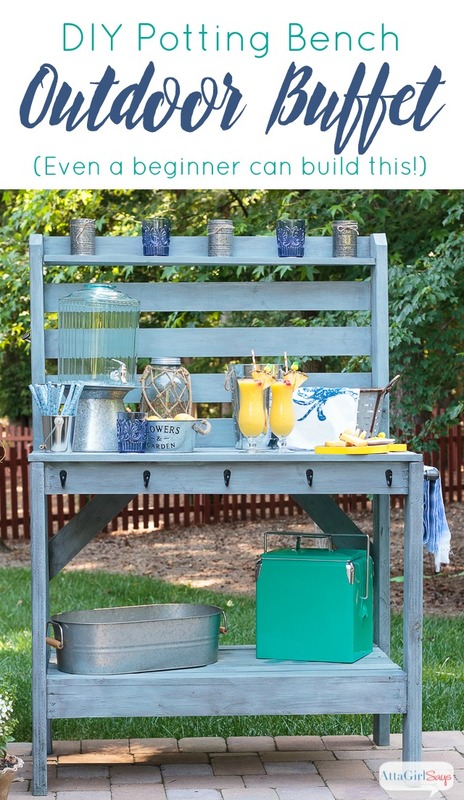 AttaGirl Says shared her fabulous DIY potting bench outdoor buffet. Check out all of the details. 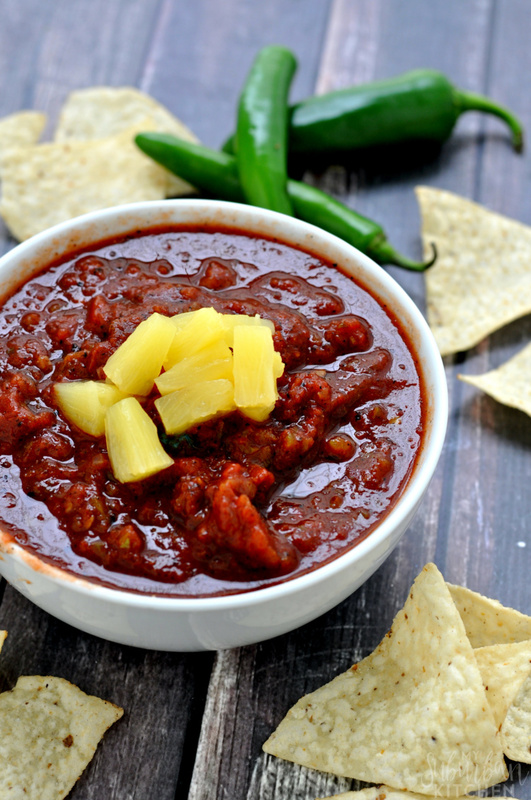 This Cantina Style Pineapple Salsa by My Suburban Kitchen sounds so awesome. 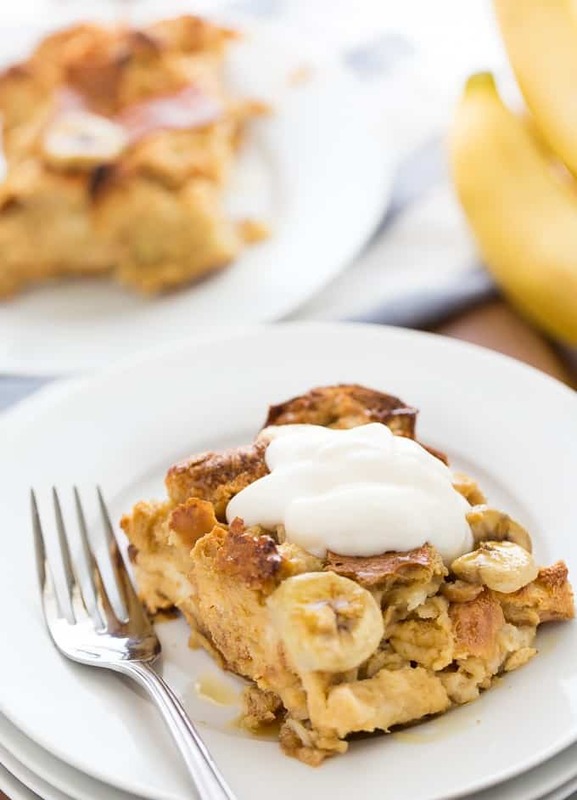 I cannot wait to make this Banana Bread Breakfast Casserole by Simply Stacie , YUM! 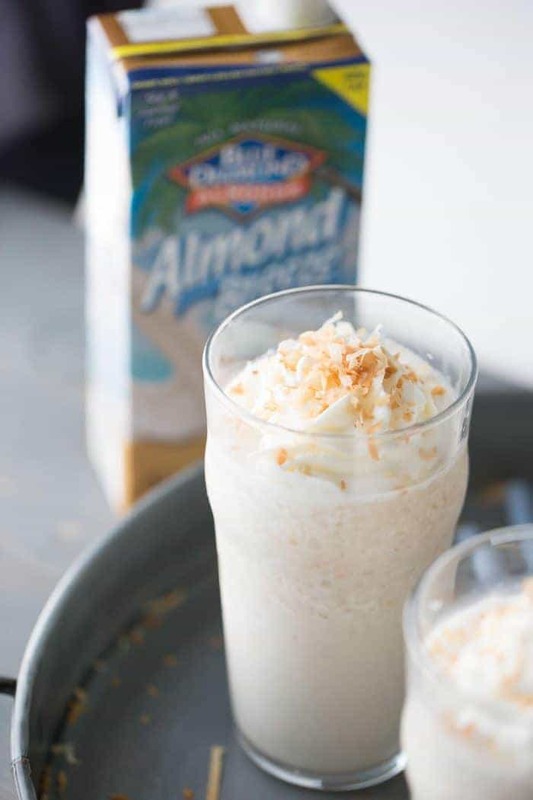 These Frozen White Hot Chocolate Toasted Coconut drinks by Lemons for LULU look so delicious. LouLou Girls shared this yummy Toffee Cake. 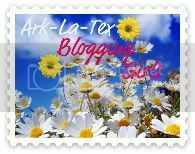 The featured blog this week is Kenarry. 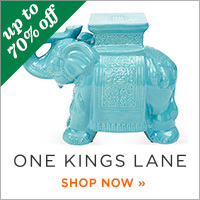 You will find lots of inspiration for cooking, crafting and decorating. Check out the great tutorial for making the DIY coat rack to decorate your space. Thanks for hosting. Hope your weekend is amazing! 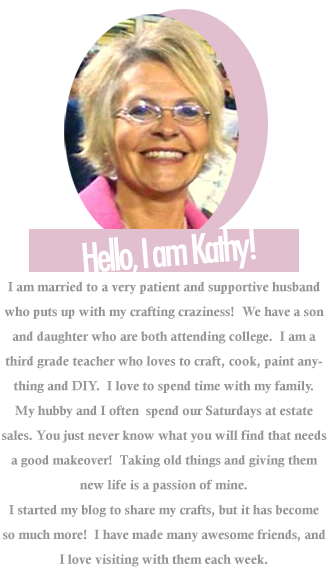 Haven't joined in a while, thank you for hosting Kathy! Thanks Kathy for your Bouquet of Talent. 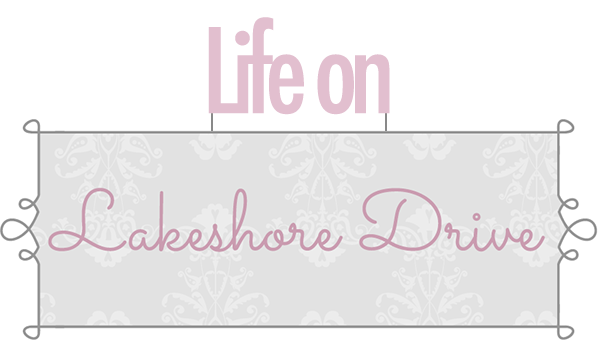 Love the features, love visiting and joining in. Thanks for hosting this lovely party again! Good morning Kathy! Thank you for hosting. Thank you so much for including my painted flag blocks in your features this week! Thank you so much for hosting and for featuring my Mid-Century Hutch!